While they are unlikely to result in US troops being directly involved in combat operations, the proposed measures should strengthen local military efforts against the LRA and have been welcomed by international human rights groups. The rebels emerged in northern Uganda 24 years ago with devastating consequences for the local population. In recent years, they have exported their terror to the Democratic Republic of Congo, South Sudan and Central African Republic. More than 2,300 people in these countries have been killed by LRA fighters over the past two years, with 400,000 civilians forced to flee their homes. At least 3,000 men, women and children have been abducted – the rebels' primary form of conscription. Obama's announcement followed the passing of a bill in May that requires the US to support multilateral efforts to subdue the LRA. The four main objectives of the new plan are to increase protection for civilians, encourage rebel defections, improve humanitarian access and "apprehend or remove from the battlefield Joseph Kony and senior commanders", according to a letter sent to congressmen. The strategy is a more formal and official version of the one employed by the US for the past two years after it took the lead among western countries in trying to end the rebellion. In December 2008, the US military provided intelligence and financial support to the Ugandan-led Operation Lightning Thunder, which flushed LRA fighters from their main hideout in Congo, Garamba National Park. 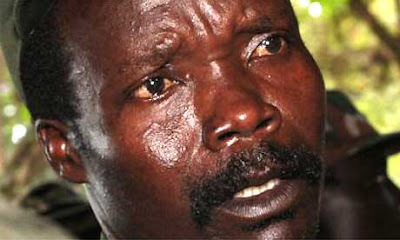 But rebel leaders including Kony – who claims to have messianic powers – escaped the ground and air assault and immediately embarked on a series of massacres in remote villages. The strategy document said the US had spent more than $23m (£14.5m) on support for the Ugandan military since then, but added that more money was needed. But ending the insurgency is likely to be extremely difficult, even with more cash and commitment. It was a task that proved beyond the Ugandan military when the LRA operated there for 20 years, and the rebel fighters have proved equally comfortable in countries to the east. The US-based Enough Project warned in a recent report that the LRA's "propensity for violence remains undiminished" despite having a fighting force of just 400. Ledio Cakaj, a field researcher for the project, said Obama's plan signalled a more hands-on approach by the US military in regional counterinsurgency operations.